This fall, Red Wing Shoes once again brings a diverse collection of leather boots and shoes. 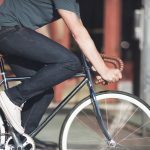 Especially one of the new styles from the American footwear manufacturer excites us. It’s not a super limited edition. It’s not even made from specially developed leather. It is simply a solid all around winter boot. Let us introduce the Red Wing Harvester. Every so often at DH, we get an early insight at a new release. The guys from Red Wing Heritage asked us to try out the Harvester as part of this review. Our founder Thomas Bojer went for the black boot while I got the brown one. The directions from Red Wing were simple: “wear them hard and keep them under wraps.” Now that the release date for the Harvester is upon us, we can finally share our experience and excitement about these amazing boots. 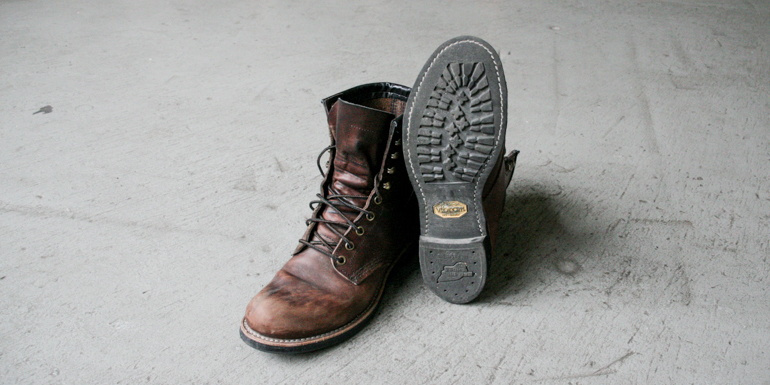 The Harvester boot lends its design and construction to the Red Wing style no. 258, one of the most successful Red Wing styles in the 1930s. 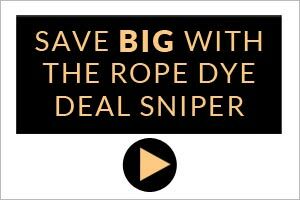 With its 8-inch height the Harvester is a functional alternative for the colder seasons. 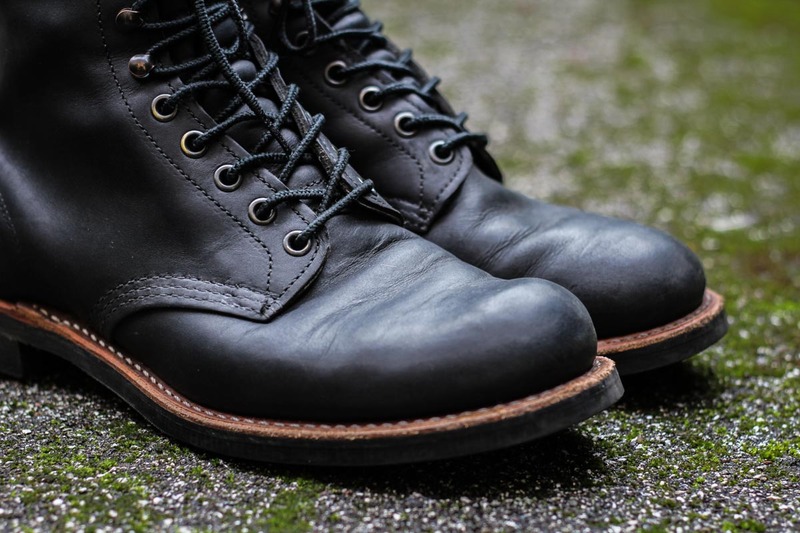 It brings together some of the very best features in the Red Wing collection. Thomas and I have shared our excitement about the Harvester since we first received them. 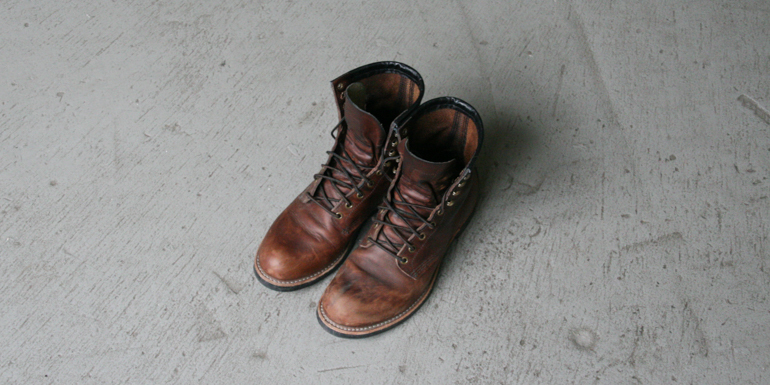 If you are familiar with the Red Wing range, you will probably recognize the shape from the Logger style 2945. With the Harvester we see a much more day to day friendly sole employed. It still has plenty of grip and the quality you would expect from a Vibram. It is just more refined and therefore more practical for the city dweller. Having said that, in all honesty I would not hesitate to take this boot out for a hike. The upper itself is the perfect fit for my average feet. Foot wise, I believe I am average size, average width and average shape. The Harvester caters to this perfectly. It gives support where it is needed and flexibility and movement in all the right places. 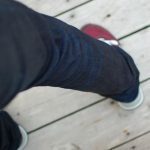 After some debate, I ended up sizing down half a size from my 877s. Experience has shown me that there will be about this much give over the years. After the customary blisters in the first couple of weeks, this decision has paid off in full. The boot has now molded and shaped to my foot and I feel the benefit of the support from the more formed fit. In comparison, Thomas got his regular size. 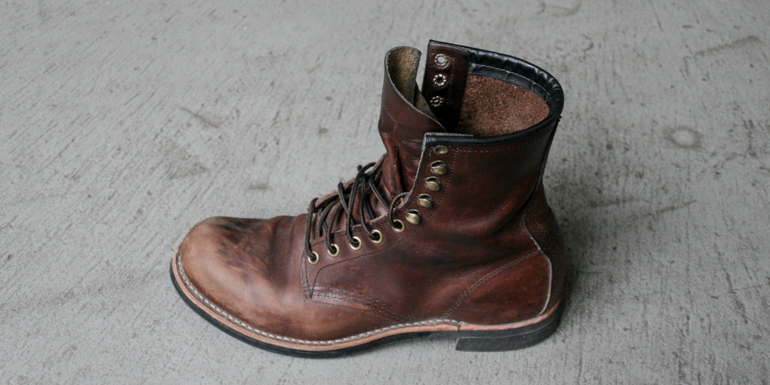 Consult our Red Wing fit guide and your local dealer before you buy.